They said it would rain, and it did. Three days of rain and drizzle and cloudy skies were rather depressing after such a warm, sunny summer, but we really needed it. With the storm came a LOT of wind! 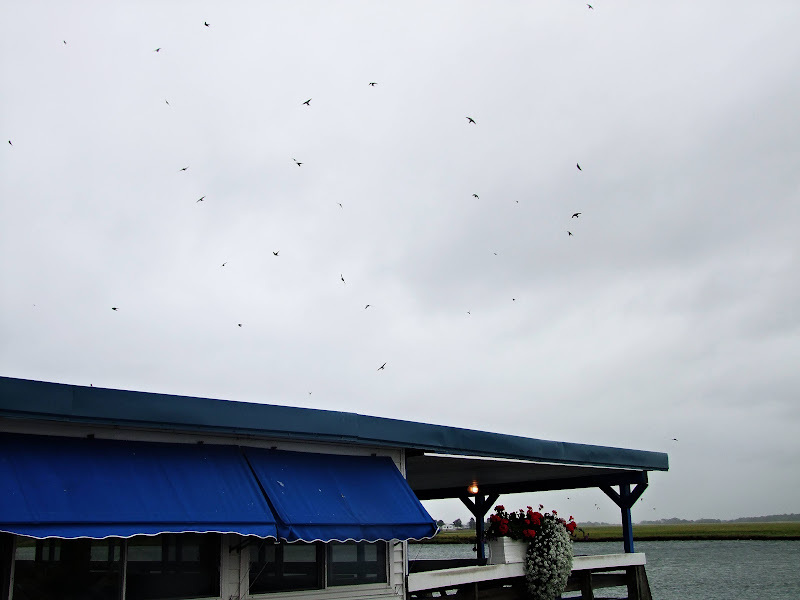 On a trip to beach one afternoon this week I was so surprised to see a huge flock of Tree Swallows, dodging and swooping over one of the water inlets next to a restaurant. I pulled into a parking spot and tried photographing them from inside the car but it just wasn't working. It was one of those winds where it's difficult to just open the car door! Plus the mist was falling and I don't like getting the camera wet. Finally I had no choice and had to jump out of the car if I was going to try to get any shots at all. The shots I did get don't really convey the sheer volume of swallows, but believe me, they were in the hundreds. They kept flying down into this bush . . .
. . . they they would all fly back out again in formation. So cool! I had to take the shots below through the windshield of the car, in between the wipers wiping back and forth. It was raining pretty good at this point so there was no way I was getting out. Wind surfing looks so difficult. It must take incredible strength to hold up the sail, especially in weather like this. Today it's a whole different ballgame. Warm, humid, and sunny! * The girls and I are headed out to the local Farmers Market. We've also had the good fortune of watching the Blue Angels fly overhead in preparation for the local airshow this week-end! Lily was chasing them across the yard, barking her head off. LOL! Nice that you have sunshine today. We had it but it's raining right now. Sort of a mixed bag, but no complaints from this gal! How fun to see all those birds, Sharon! Must have made you feel like you were in a Hitchcock movie! Rain is my favorite weather so I'd have been in heaven (it only rains here a few days a year). I love the Lobster sign! I want it in my house!!! 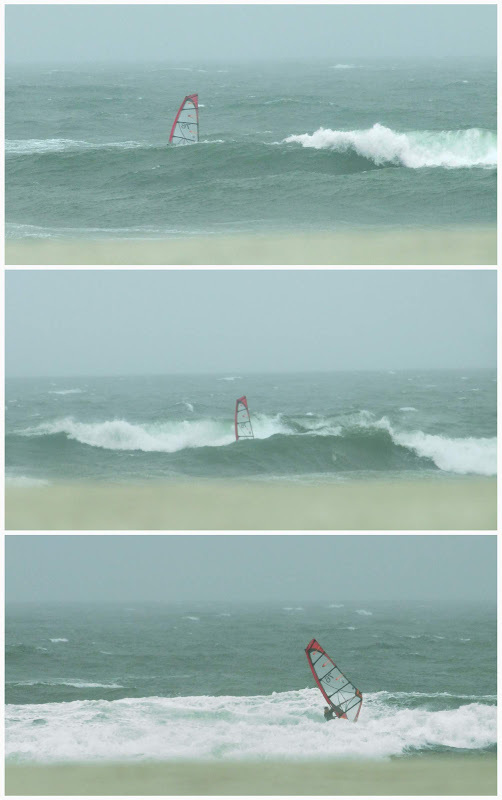 I watched wind surfers a few years ago while I was on the cape. They were amazing, flipping & flying up into the air! Crazy stuff!!! I so appreciate all the effort you took to take the photos. They're amazing. Seeing the birds in flight like that and so crisp. We had crazy winds too but the rain was really needed. 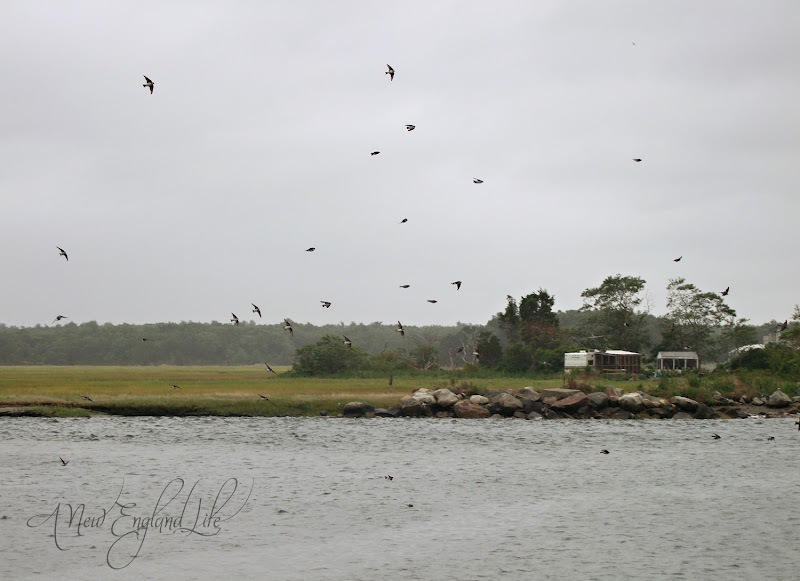 Noticed the bayberry bushes that the birds were flying into all full of berries. Bumper crop this yr! I came by a few times but kept forgetting to comment. Your always one of my favorite stops...but you probably already knew that! 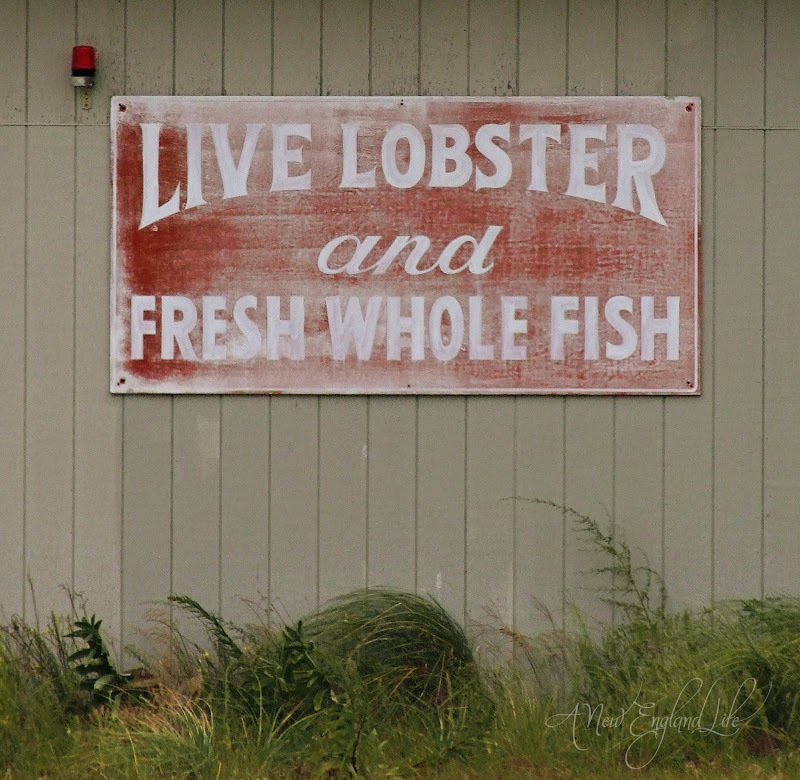 I love that lobster sign, by the way! What a gorgeous post, Sharon. I love how you captured the swallows and can't believe some of these are through a car window with the wipers on, in between swipes. Wow! Yes, the weather has been beastly. I must admit I enjoyed the break from the Summer heat. I was so afraid of getting my camera and lens wet. what a gorgeous view you have there...even with the misty rain. How cool to see so many Tree Swallows! You brave girl you... I would have had to really think about getting out of that car! :c) We've had the Blue Angels here a few times and they are so amazing to watch! Always enjoy your photographs. Thanks for sharing. I so totally understand about the tree swallows! Every year, the redwing blackbirds gather in the marsh not far from the house, and I go crazy trying to get photos that show how many of them there are, and how they flock together, and every year the photos just don't quite make it. But I don't see that as a reason to stop trying, and thank you for sharing your swallows! I sympathize with the difficulty in getting a shot of swallows that convey the numbers and magnitude. Cameras have a difficult time capturing the occasional hints of primordial numbers. 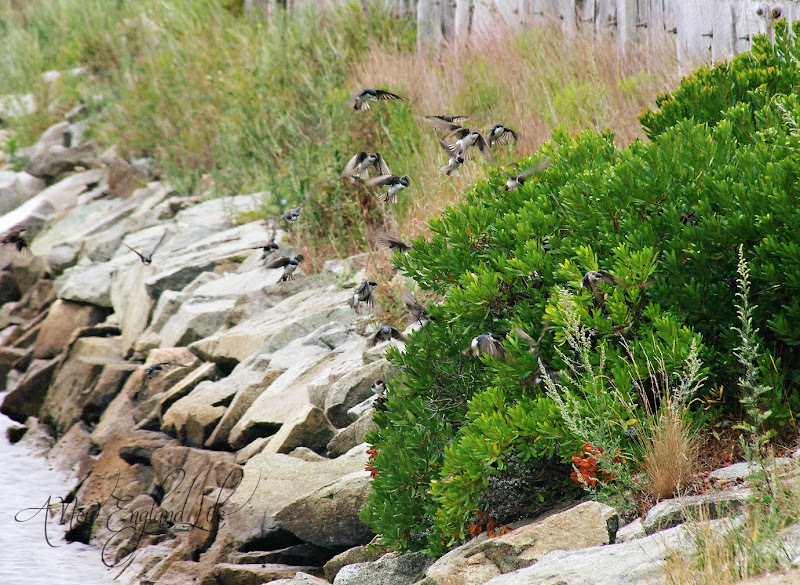 Those little birds are so pretty - great shots of them near the rocks! I love rainy days...and cloudy days...and foggy days. They aren't depressing to me at all and make me feel warm and cozy inside. I'm not a sun loving girl so much but appreciate those days too. Those waves look rough. Hard to believe he could surf like that ~ but I guess those guys are awesome athletes. Cool shots of the swallows too!! Yes, you need to take care of your camera. I do not take pictures in the rain I am too anxious for water penetration. But sometimes accidents happens, like when it slips out of your fingers. Yesterday a good friend called me and told I could borrow his camera while mine was in need of repair. He so kind. And now I really need to use the strap around my neck! I would say you made the very best of a dreary day. I believe the swallows we have in California are a different variety but understand they all have great speed. I am always amazed how they can dive so quickly and then jet up again. I think the swallows we see here are on their return trip to Capistrano! 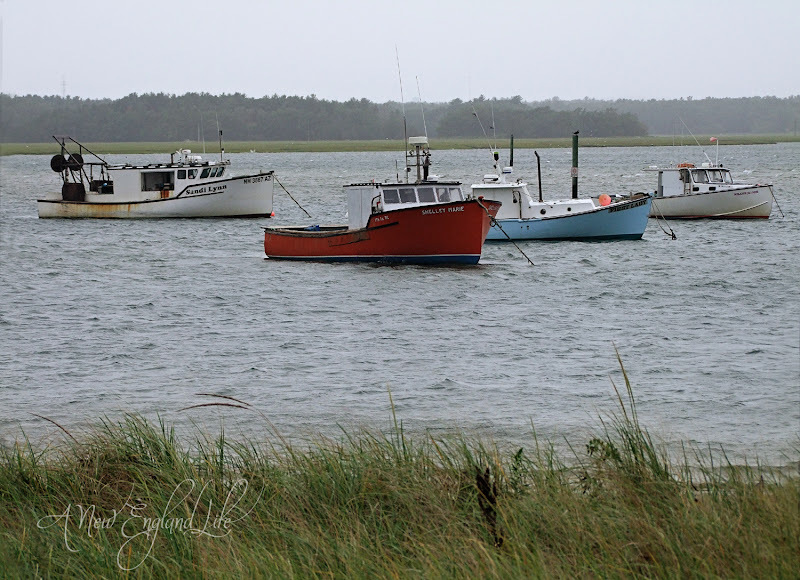 I love how a dreary day did not halt you from taking wonderful pictures for us to enjoy. Thank you.